The height of the finished drawer. The outside width of the finished drawer. The depth of the finished drawer. 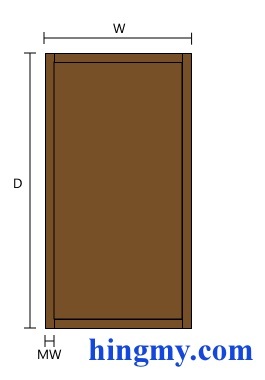 The width of the drawer sides, front, and back. The rim around the panel that rides in the groove cut into the sides, front, and rear. The joint type used in the front of the drawer. The calculator adjusts the length of the sides to provide enough material for the joint. The depth of the front dado joint. The joint type used in the rear of the drawer. Log in or Sign Up to access advanced mode.